Netbooks are affordable. It's the reason we love them, and the reason that they took off in the first place. 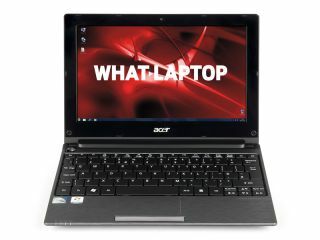 The cheap netbook isn't for everyone, but choose carefully and you'll get the best netbook on the market that will suit your needs. The big idea when getting your head around netbook computers is managing your expectations. If you're looking to write a novel, play games, or do a series stint of work, then you may be better off going for a full notebook or a desktop PC. While all these things are possible on a netbook, they're ideal for taking notes, editing work, watching movies, browsing the web and simply lasting a lengthy journey away from a plug socket. The battery life offered up by netbooks can be amazing, with the latest mini netbooks representing the perfect companion for a modern on-the-move lifestyle. It seems like an age since Asus stirred up the ultra-portable market with the release of its first Eee PC, so where does the market stand now? Has the introduction of the Windows 7 netbook changed which you should buy? Which is the top netbook available right now? Are tiny 7-inch screens still the best choice, or is a larger netbook screen a better bet? We dissect the latest netbooks reviews, to see where the best netbook deals are to be had.